https://stetsonpainting.com/whychooseus/ click here Lead from where you stand: Impact Denver puts up-and-coming professionals on the fast track, learning about community issues, discovering their leadership style and completing a community project with a small team during this six-month program. Offered twice a year, participants can start making an immediate impact. click here Applications for the Impact Denver Fall 2019 class are due Monday, May 13 by 5 p.m.
Impact Denver runs twice a year, from January to June and July to December. Applications for the Impact Denver Fall 2019 class are due https://mysonginthenight.com/songwriting/ order now Monday, May 13 by 5 p.m. Fall 2019: July to December. Spring 2020: January to June. cheap generic viagra Pricing: Tuition is $1,750 for Chamber members and $1,850 for nonmembers. (Scholarships may be available; learn more). There is a nonrefundable application fee of $50. 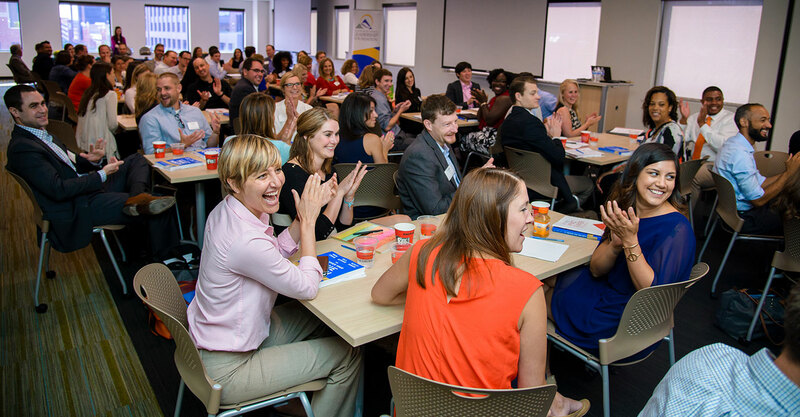 Impact Denver is ideal for young professionals or those just beginning to get involved in the community who can commit to engaging in the program over six months. Considering Impact Denver or Leadership Denver? Check out our comparison. More questions? Contact us now. Projects must be located in the seven-county Denver metro area region. Proposed projects should have measurable and lasting community impact. The project should be achievable, resulting in a realistic end-product or recommendation during a six-month period. Projects can range in scope. Successful projects include a hands-on component rather than just documenting a process or strategic planning. Teams often feel a closer bond to the project when they are able to interact with the ultimate beneficiary of the organization. To learn more about the Impact Denver project proposals read our FAQs or contact Erica Rutledge for more information.